Felice from the Ultimate Homeschool Podcast Network has got you covered for a limited time! This month’s subscriber bonus is a FREE Activity Guide just for your children. There are printable activities, research guides, projects, crafts and Easter scripture copywork pages. There are even spring cleaning printables! 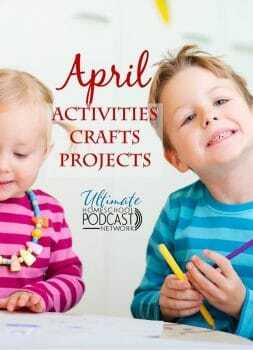 Click here for these April Activities, Crafts, & Projects today!